This is my last editorial given that, as most of you will know, Professor Gavin Screaton takes over as the Head of the Medical Sciences Division on the 1st October. Prior to moving to Oxford I had the pleasure of working with Gavin at Imperial College and I am really delighted that he has now been appointed here. 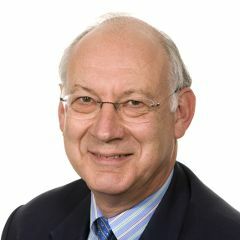 Having previously spent many years in Oxford he knows the Oxford “ways” and he is a great believer in collaborative research and developing strategic visions, which will be of great value to Medical Sciences. He will be a first rate leader of the Division, and we are fortunate to have recruited him back. So perhaps I might be allowed a few reflections on my time as Head of Division, albeit for only eight months. Firstly, MSD has a fantastic administrative team who I really want to thank for all their support. They are totally dedicated to doing the very best for individuals and departments alike. They are also expert at pursuing things through the protean Oxford University committee structure, which requires considerable patience and perseverance! Even as a former Head of Department I only had a limited awareness of what goes on at the centre of the university, whereas as Head of Division, along with my three fellow HoDs, we seem to be members of a vast panoply of committees. As one of my fellow HoDs once mentioned following a presentation – this was the fourth time he had heard it! The joys of an ancient collegiate university! What has surprised me has been the general acceptance by many people in the University that because something has been done in a particular way for a long time that there is no real need to change it – however unsatisfactory it might be. As an example, I discovered that there are about three or four different types of professor – statutory and titular, academic and academic-related. Well, you might have expected that over the years there would have different sorts of professors. However, to then regularly assess their salaries in different ways and using different scales seemed completely unjust. Fortunately when this was pointed out to my fellow HoDs they recognised that there does need to be a fairer and more equitable system and Council's Personnel Committee will consider reforms to the system this term. The abrupt closure of the Tinbergen building in January was a great challenge for our University community to which it responded magnificently. Space was found for desk work, if not immediately lab work, within a few weeks for over 800 members of staff and students; teaching space even sooner. Planning for medium term accommodation started almost immediately and modular labs, offices etc. are now being built on the playing fields behind Tinbergen for Zoology and on the ROQ site for Experimental Psychology (EP). But what to do about the building itself – to remove the asbestos and then to either refurbish or rebuild? A huge decision with many millions of pounds at stake. It was clear that this decision would have taken many months if it had to pass through the usual committee structure. Without a doubt this uncertainty would have led many senior academics in both departments to have voted with their feet and moved elsewhere – many had offers almost immediately when closure of the building became known! To the VC’s great credit she recognised this, set up a separate high level group to rapidly make the decision and as everyone went off on their summer vacation she was able to announce that the Tinbergen will be demolished and a new building for Zoology and EP and possibly other groups/departments – since it will have a greater floor area – will be built, enabling a state of the art science building to welcome students, staff and visitors coming into the South Parks Road Science area. Our student numbers, in terms of both undergraduates and postgraduates, relative to our size are surprisingly small. For undergraduates this has been deliberate, enabling us to pick some of the brightest students and for nine years the National Student Survey has ranked Oxford top of the table for Medicine. This has been due in no small measure to the energy of the Medical School's Director of Clinical Studies, Tim Lancaster. This is an enviable record and it is no small wonder that Kings College London have recruited him to become their Dean of Medical Education. We wish him every success in his new post and thank him enormously for his huge contribution to Oxford. However, for postgraduates we are constrained in numbers and could expand our DPhil student population with excellent students, whom we currently reject, were it not for the limits in numbers imposed within the University. The REF/RAE has repeatedly commented on the low ratio of PGs to numbers of academics returned so some radical solutions are required which will not be easy. Over the past few months I have greatly enjoyed working with the Division’s sixteen Heads of Department and Deputy and Associate Heads of Division and I want to thank them for all their support. The Heads of Department each work selflessly to develop and promote both their department as a whole and all the individuals within it. Increasingly departments are collaborating on joint applications, projects, even buildings such as the Big Data Institution. It is very important for the medical sciences in Oxford that this continues and expands not only within the Division, but also incorporates, where appropriate, academics from other Divisions. I am very grateful to have had the opportunity to lead the Division for the past few months – it is clear our top world ranking is more than justified – and I look forward to viewing from the side lines the continued success of the Medical Sciences Division and I wish you all every success in your endeavours.